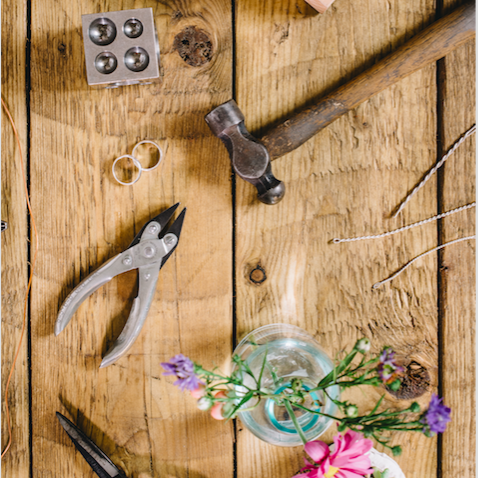 Spend the evening in the workshop and make a decorative sterling silver ring to take home at the end of the class. 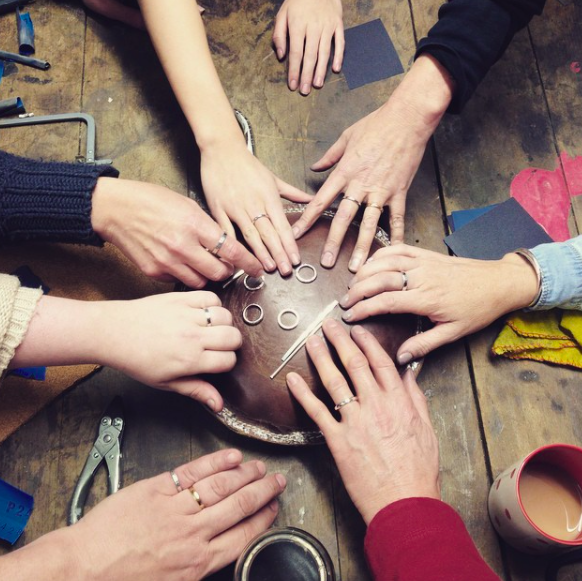 Learning how to shape the metal, heat it up on the hearth, solder it together, file and finish. 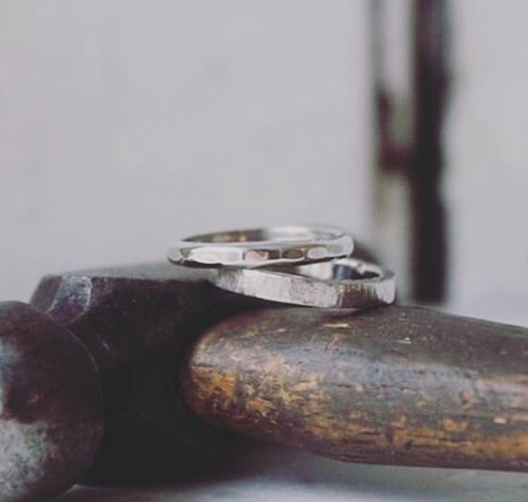 These rings are more chunky compared to the stacking ring class at around 3-4mm wide and really give you the opportunity to make a unique design. 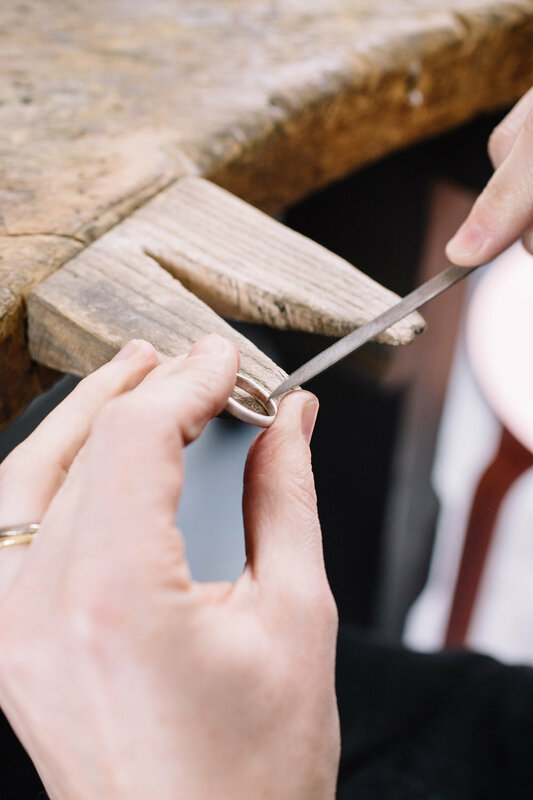 We will show you a range of different techniques so you can add pattern and texture to your silver rings to personalise. Suitable for complete beginners and those with some experience.